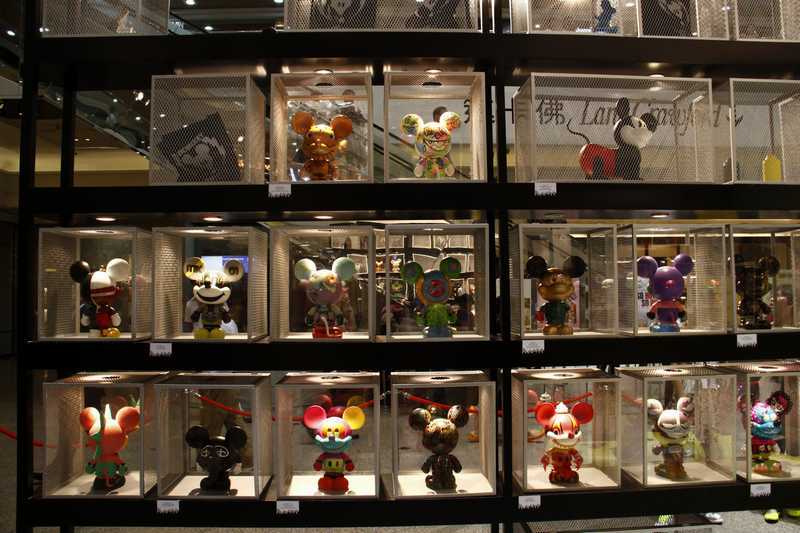 Early last year, I was contacted online by Toby HK, a designer and liaison for the Hong Kong division of Disney about a project entitled Mickey Brand Halo. 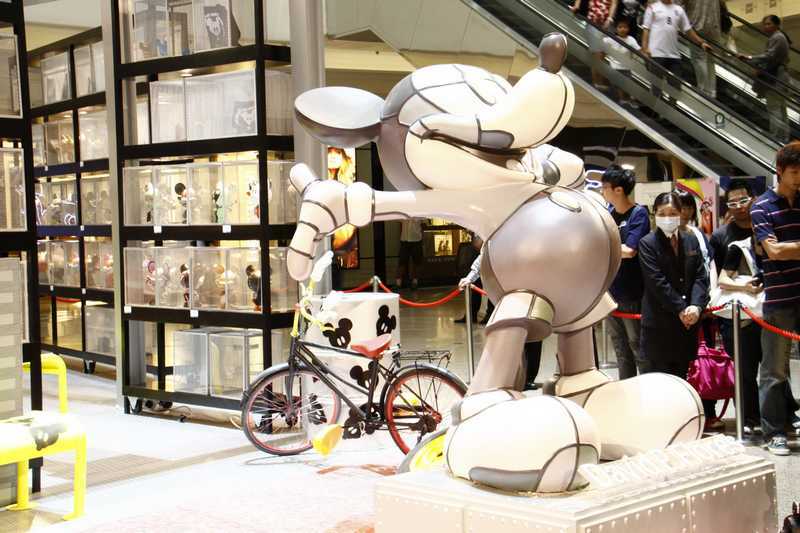 A few dozen artists were chosen to paint custom 12 inch tall vinyl Mickey Mouse toys to be showcased in Hong Kong at Times Square and auctioned off for charity. 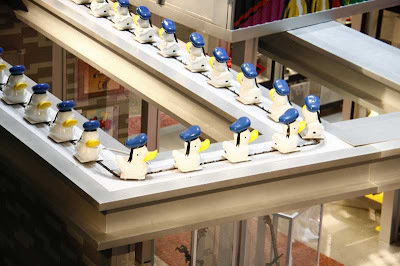 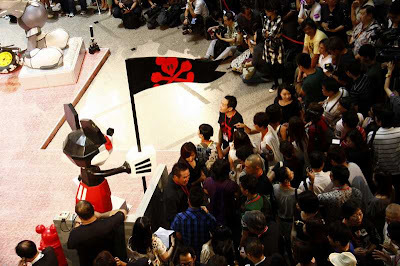 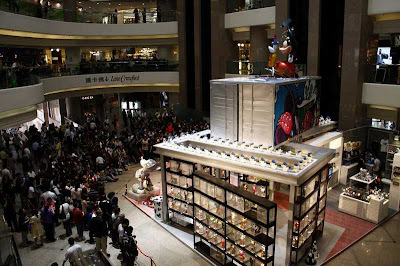 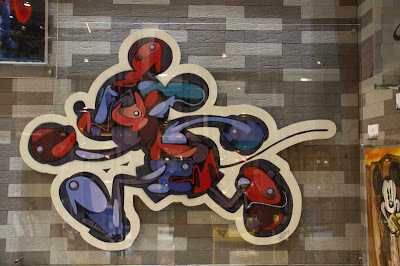 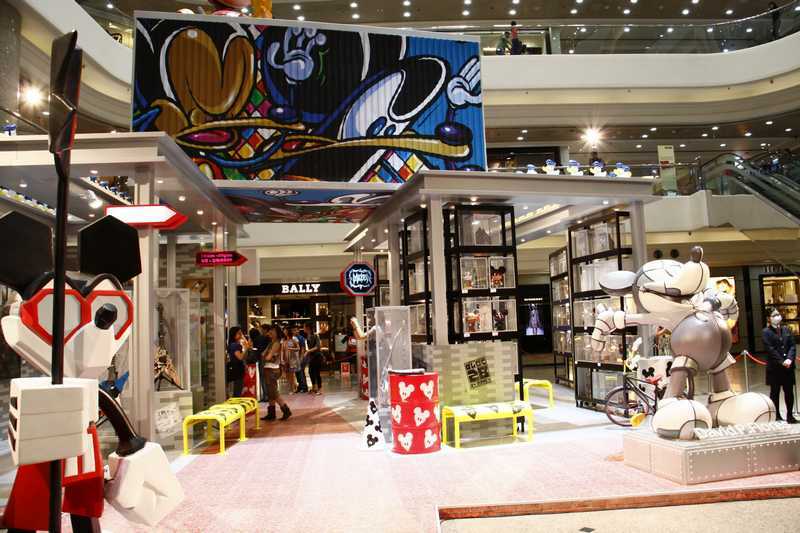 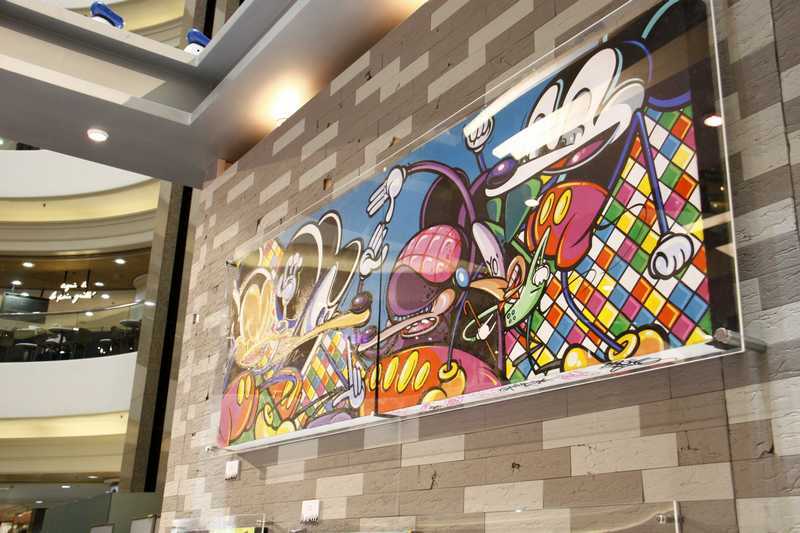 Other artists and designers came together for the event with paintings, sculptures, and utilitarian works to commemorate Mickey and his iconic image. 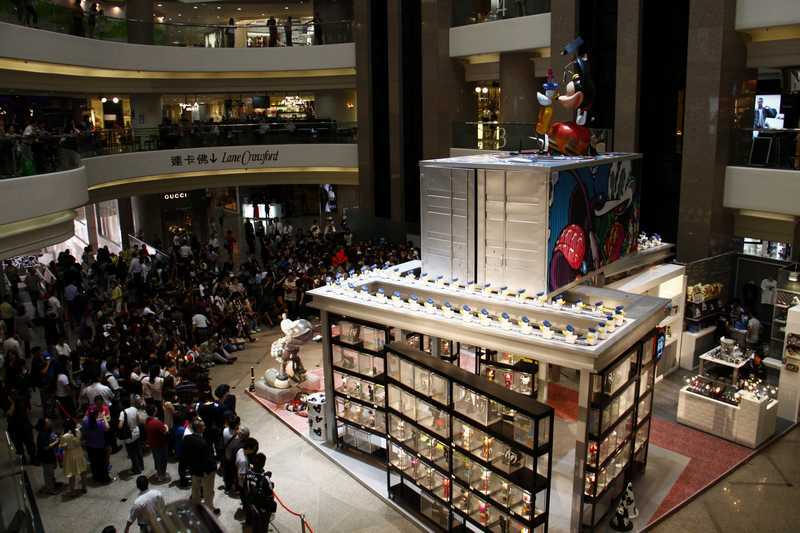 Although I couldn't make it to the opening, Toby was kind enough to send out pics of the event. 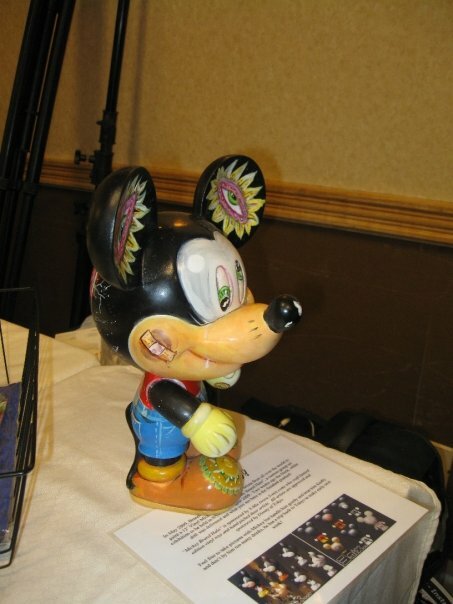 My Mickey sported my own pop-surrealist style! On the back-side shot posted here, you can see I gave a window into his brain and what's on it! 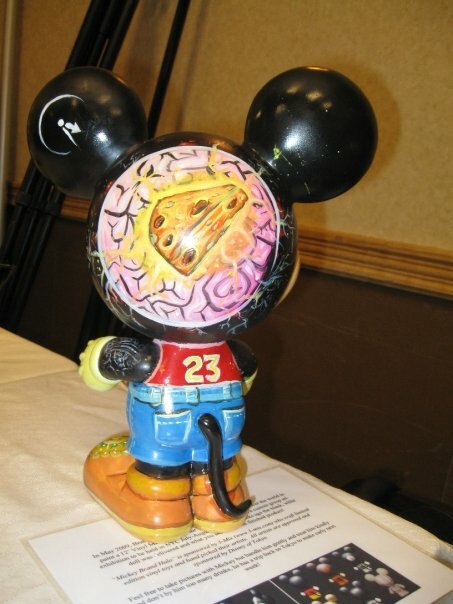 I never got a good pic of the insides of his hands due to the angle (which also was very difficult to paint!). In his left hand is a U.S. penny and in his right hand a pellet of green rat bait... which might also explain the look on his face and the foam at the mouth! 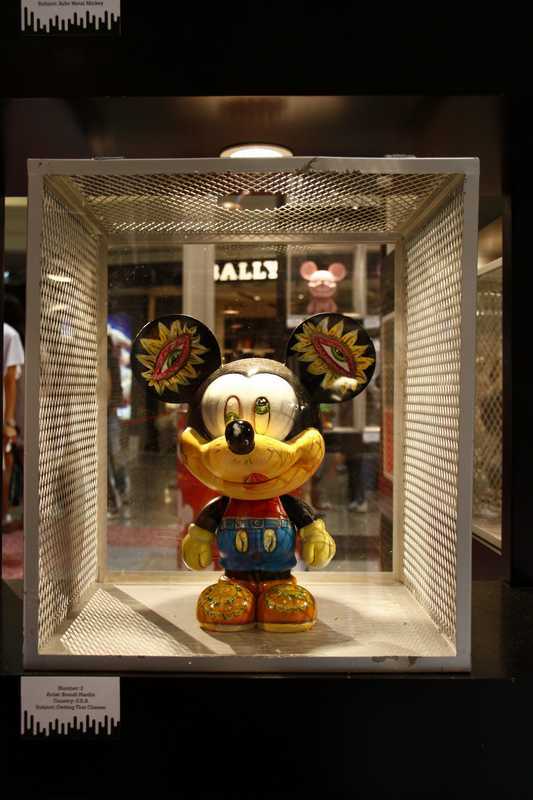 I'm glad to say he made it around the world to me and back and now takes happy residence there. It was loads of fun taking part in a project for a company like Disney and hope there are similar opportunities in the future!